As a parent, you can be the hero in your fight against lice at home. With that in mind, we have developed a full line of science-based, non-toxic treatment products for any budget. Whether you choose to treat lice with heated air or a combing solution, or maybe you just want to keep lice away, we have a product for you. 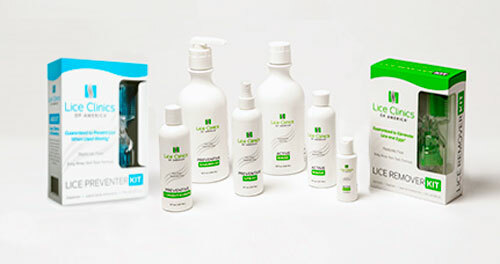 We believe retail lice products should be as effective as they are simple to use. Other lice products are messy to use. They get all over your hands, counters and floors. It can be hard to coat the entire head with them. And they don’t wash out of the hair easily. No more stinky pesticides. The liquid gel in the LRK contains a pleasant pear scent. The treatment will smell and feel similar to shampoos and conditioners you already use on your kids. Just because it happens to kill lice doesn’t mean it has to smell like something you’d spray on your flower garden to kill weeds. You can use the shampoo daily, or whenever you normally wash your hair. You can use the conditioner daily, or whenever you normally wash your hair.